From the African Savanna to your baby's nursery these Giraffe inspired and related crib sets are sure to excite and comfort your little ones as their adventurous imaginations take them across the jungles and grasslands! 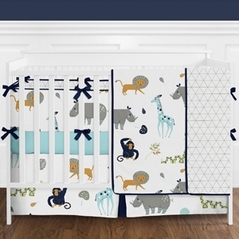 As the premiere outlet for Giraffe baby bedding and Giraffe print crib bedding sets Beyond Bedding is proud to stand behind every 9 pc bedding set and ensure that the quality and workmanship are second to none. 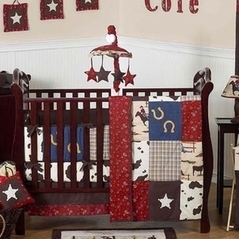 From pink and brown to blue and brown, our Giraffe crib sets are designed to fit into boy's and girl's nurseries. And don't forget all our great accessories like matching musical mobiles and wall borders! 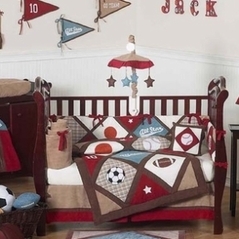 Plus, check out our great Teddy Bear Baby Bedding section as well as our Dragonfly Crib Bedding section for more great ideas!